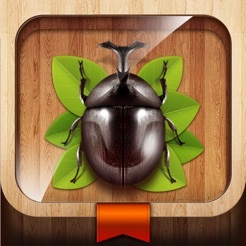 *Featured in The Washington Post's KidsPost as "Best Apps for Kids"
- Some tweaks and updates in Insect Story for more enjoyable interactive experience! 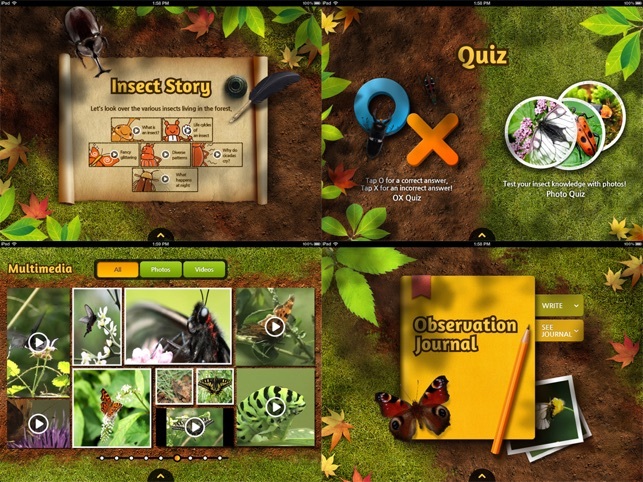 - Close-up videos with narration will bring even more fun and engaging experience of exploring the world of insects without having to reading any descriptions! 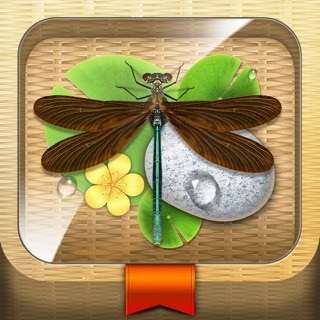 1.Make each insect come to life with a tap of a finger. 2.What animal has the largest number of species on earth? 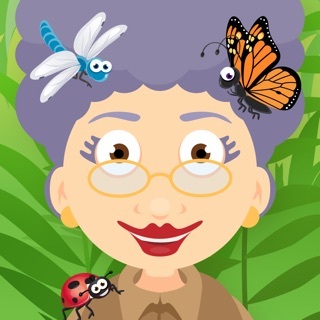 The insects! 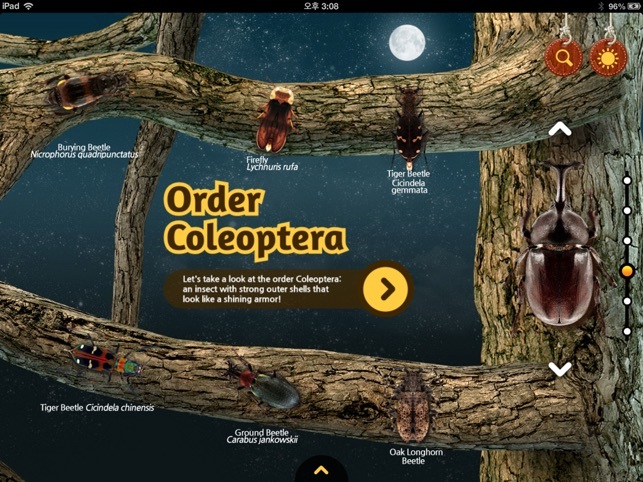 Watch and interact with the animation as it takes you into the world of insects. 3.Why does Common Yellow Swallowtail like to sunbathe? 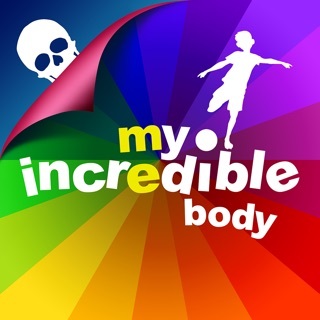 Get ready to dive into a handful of interesting facts of each insect with eye-catching illustrations. 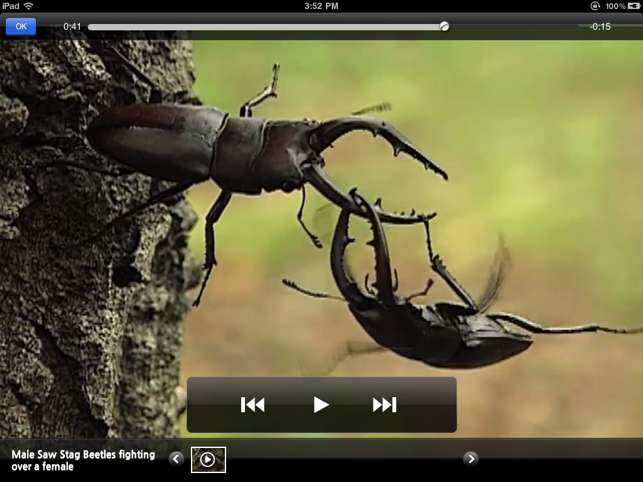 4.Meet the insects through mind-blowing videos and photos. 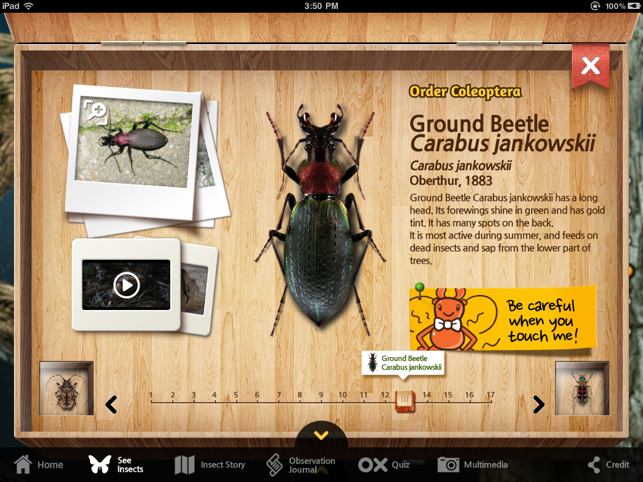 5.If you think you are done with the encyclopedia, gear up for the OX and Photo quiz and review what you’ve learned. 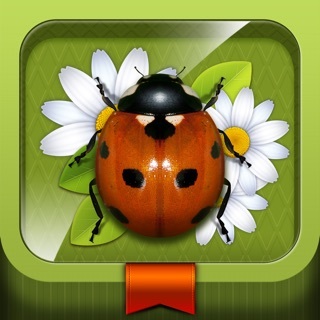 6.When you find an insect to observe and start the observation journal, you are now the insect expert! - Meet the Insects: Forest Edition, primarily focused on forest insects, is the first edition of our insect encyclopedia series. 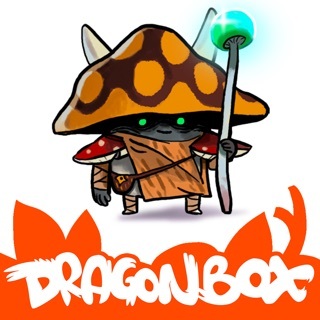 - We will soon be coming back with variety of different insects…so keep checking back with us for more exciting upcoming titles! 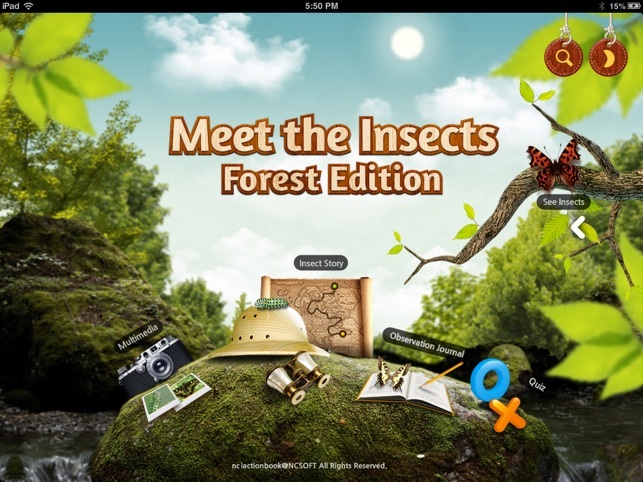 All the information in Meet the Insects: Forest Edition is provided by National Science Museum of Korea.